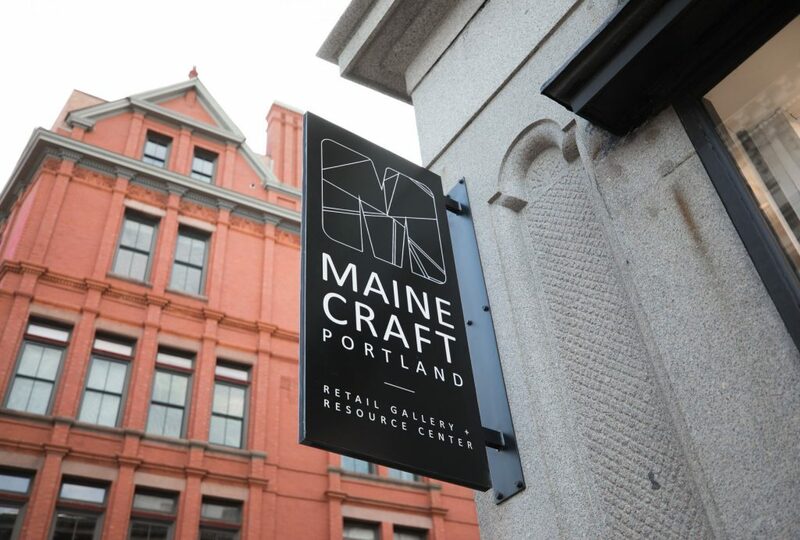 MAINE CRAFT PORTLAND, a retail gallery + resource center in the historic Maine Charitable Mechanic Association (MCMA) building, known as Mechanic’s Hall, in downtown Portland, Maine. The new MCA space promotes craft in Maine through exhibitions and public programming, and directly benefits Maine craft artists through sales of their work. The Mechanic’s Hall retail space became available in January 2018. The MCA began a fundraising campaign in February to fund the project and signed the lease in April. The spring was spent renovating the space, hiring staff, ordering inventory and preparing for grand opening July 6th at the First Friday Art Walk! The MCA is raised $100,000 during our start-up capital to open the new space. On February 15, the Windgate Foundation announced a matching grant of $50,000. The MCA has received matching contributions from our amazing and supportive network of board members, arts supporters, foundations, Portland businesses, MCA members, friends and family. All work represented at Maine Craft Portland is made by current MCA members living in Maine. Our goal is for approximately 70% of the vendors to be different from our vendors at the Center for Maine Craft. Inventory is sold on both a consignment and wholesale basis. There was not a jury process for the first phase of ordering; but, once we have our feet under us a jury process will commence to attract and identify new vendors.